Celtic Knot Bundle - Great St. Patrick's Day Activities! 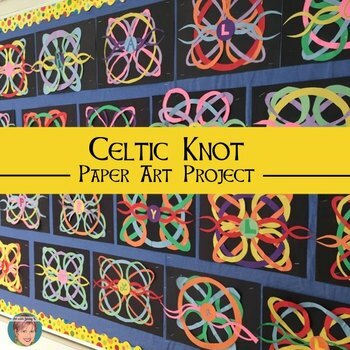 St. Patrick's Day Activity - Celtic Knot paper art activity. This project is original and fun. You won't find anything like it because I made it up! It's been tested with my students and they just LOVED it! I hope your students will as well. 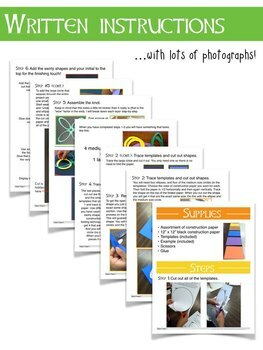 This resource is part of my Holiday Themed Art Activities BUNDLE for the entire year and my March Activities Bundle. You may also like... Celtic Knots [Volume 2] - Shamrocks! At first glance this celtic knot activity might look complicated---which is why it's so striking when the students complete it! 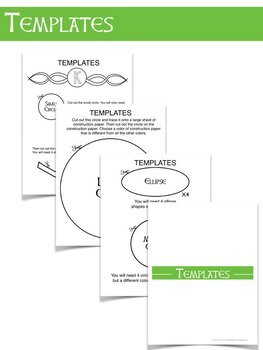 However, in this unit I give you everything you need (templates and instructions) to easily teach this lesson. Your kids will have fun. 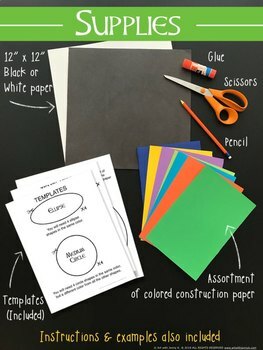 After your students are finished you could challenge them to create a new design if you want to.